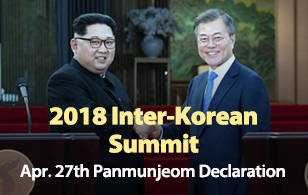 The South Korean government says it will require an additional 298-point-six billion won next year to follow up on the Panmunjeom Declaration agreed between the leaders of the two Koreas in April. The estimated cost was submitted to the National Assembly Tuesday, along with the government's motion for the parliamentary ratification of the April inter-Korean summit declaration. 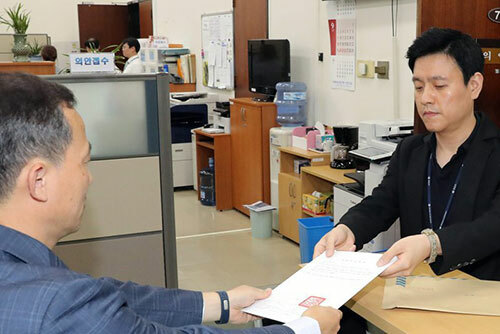 The total cost of 471-point-two billion won will be earmarked for inter-Korean projects on connecting and modernizing railways and roads, forestry, war-separated family reunions, cultural and sports exchanges and the joint liaison office. The government hoped to secure parliamentary approval for the motion aimed at enhancing cross-border cooperation and exchanges and pursuing the denuclearization of the Korean Peninsula before the third inter-Korean summit from September 18th to the 20th. Parliamentary leaders, however, have decided to discuss the ratification issue after the upcoming summit.